Marlington scored five runs in the first inning last Wednesday and finished off Louisville Tuesday night 8-2. Chad Neff hit a 2-run home run for the Leopards only runs of the game. Jon Crank went 4-for-4 with a 3-run triple & 4 RBI’s and Riley Groves pitched a 6-inning shutout & delivered the game-ending RBI during Louisville’s 10-0 win over the Fairless Falcons in the Sectional Final. Dillon Stertzbach pitched a complete game & struck out 9 during Louisville’s 5-1 Senior Night win over Marlington. Connor Ruffier & Mike Kelly also had 3 hits a piece to lead the 17-6, 11-2 Leopards. Eight different Leopards provided RBI’s and eight different Leopards also scored during Louisville’s 13-2 NBC victory over visiting Carrollton. Riley Groves earned the victory on the mound and is now 7-0 for the season. Dillon Stertzbach pitched 6 solid innings and struck out 11 to lead the Louisville past host Carrollton 6-4. Stertzbach also had 2 RBI’s offensively and Chad Neff had a 2-run triple for the 13-5, 9-2 Leopards. Logan Bowles pitched a complete game while striking out 8 and DJ Wilson hit a 2-run homer in the top of the seventh to lead the Canton South Wildcats to a 5-1 win over the Louisville Leopards. 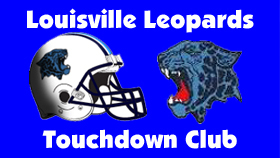 Series History and In-Depth Preview of the Week 8 Matchup between the Louisville Leopards and West Branch Warriors this Friday at Heacock Stadium. A preview and series history for the Week 7 High School Football matchup between the Louisville Leopards and the Carrollton Warriors.